The 2017 Tax Cuts and Jobs Act (TCJA) included a provision to drive long-term private investment in some of the country’s most distressed communities. Known as the Opportunity Zone Program, it is managed by the Treasury Department’s Community Development Financial Institutions Fund (CDFI). The program incentivizes investment through the opportunity to defer or eliminate capital gains recognition for qualifying investments. In a nutshell, investment in Qualified Opportunity Zones is rewarded with preferential tax treatment. A Qualified Opportunity Zone is a census tract eligible to receive investments through Qualified Opportunity Funds. The TCJA allowed governors to designate up to 25 percent of their states’ low-income, high poverty census tracts as a qualified Opportunity Zone. The U.S. Department of the Treasury then approved these zones for investment. For example in Wisconsin, 120 “Economic Opportunity Zones” covering every congressional district in the state have been approved. A Qualified Opportunity Fund is a private investment vehicle that is self-certified to aggregate and invest capital in Qualified Opportunity Zone Property in a Qualified Opportunity Zone. These Opportunity Funds must take the form of a corporation or partnership and must invest at least 90% of the Opportunity Fund’s assets in Opportunity Zones. It is anticipated that Qualified Opportunity Funds will cover a broad spectrum from smaller, single project-specific funds to large funds without currently specified investments. What incentives does the program provide to private investors? Deferral of original gain recognition for amounts invested in an Opportunity Fund until the earlier of December 31, 2026 or when the Opportunity Fund investment is sold. The gain that is ultimately recognized is the lesser of the original deferred gain or fair market value of the investment in the Qualified Opportunity Fund less the taxpayer’s basis in that interest (initially deemed $0). 10% increase in basis of the original investment after holding the Opportunity Fund investment for five years with an additional 5% increase after seven years. (The additional 5% requires a qualified investment in 2019.) In other words, you can reduce the amount of gain you pay tax on to 85% or 90% of the original gain. Exclusion of capital gains for Opportunity Fund investments held for at least 10 years. How does an investor take advantage of this opportunity? As additional guidance is available in 2019, it is expected that third-party Qualified Opportunity Funds will form seeking investor capital. 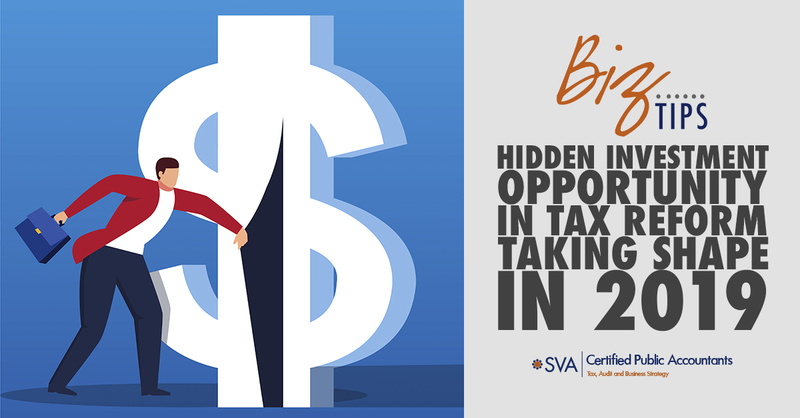 Other taxpayers with specific qualifying projects in mind may seek to create their own project-specific Qualified Opportunity Funds. In either case, investors are encouraged to seek advice from their tax advisor.